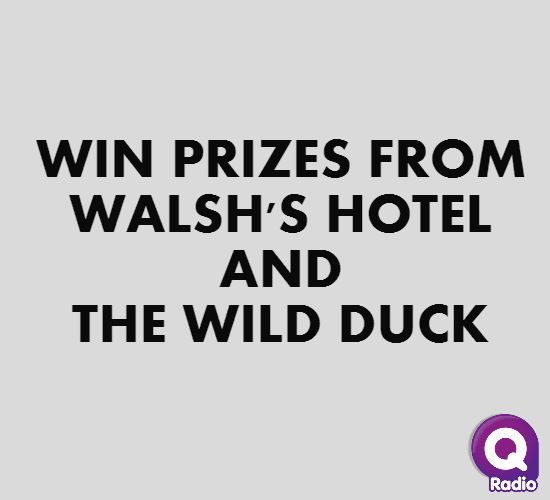 This week on Q Drive we have teamed up with two of Northern Irelands Unique wedding venues, The Wild Duck Portglenone and the award winning Walshs Hotel Maghera in the run up to their fantastic Wedding venue viewing day this Sunday 12th March. For your chance to win a Meal for 2 Monday to Thursday in either location and to be entered into the overall prizes draw to win one of the three options, all you have to do is play ‘Tie the Knot’ and let us know how the two songs we play are connected. This is the oldest venue of the trio and it has been hosting stylish weddings for many years. Offering the added advantage of accommodation for wedding couples and their guests, the hotel has a beautiful Honeymoon Suite and a range of rooms to suit all types of groups. The Award Winning, Walsh’s Hotel is steeped in history, and it oozes elegance and tradition, from the reception area with its winding staircase, to The Great Hall with its stately décor. The Wild Duck Bar, Restaurant and Music Venue features a spectacular location in its outbuildings. This is the gracefully traditional Riverside Suite, where designers have fused exposed brick walls with cosy open fires, and a supreme bar area to create an almost aristocratic feel that is welcoming to any wedding party. The Wild Duck has carefully selected and pieced together a fantastic team who offer the best in catering and caring for wedding guests. The Riverside suite has an extensive capacity and can cater most wedding group sizes, from small and intimate, to the more bustling affair. To find out more information, visit the official website here.